YOU ARE OUR FIRST PRIORITY! And negotiating the best possible deal for you, whether you are buying or selling a home in Northern Virginia. Let TheGoToTeam for Real Estate at Fathom Realty help you with your all of you Real Estate interests. I pride myself on providing real value to my clients in every transaction. In delivery of this commitment I will provide buyers and sellers the perfect blend of technological and traditional Realtor services when prospecting for a new home or selling the current residence. And the level of technology used in our personal interaction is only to the degree that you are comfortable, I prefer the personal touch whenever possible. Maurice and TheGoToTeam provide Buyers with a complete traditional, Full Service Brokerage, Value and Performance leveraging technology for your benefit. With rising prices and a more competitive market in Northern Virginia I hold the line for my buyers to keep their purchase price below the list price. Let's make it happen! and TheGoToTeam provide Sellers complete traditional Realtor Listing services in addition to leveraging the right Social Media Platforms to market your home. Allow me to list your home for a sale. As a Residential expert, MLS statistics show I deliver a ratified contract on average in 26 days at 102.8% of list price for my sellers. · Local Print Advertising, and Direct Mail. Contact Maurice now for more information! Sterling, Countryside, Sugarland, Cascades, Lowes Island, Dulles Homes and Herndon, Herndon Junction, Grand Hamptons, Millwood Pond, Falls Brook, Jenkins Ridge, Dranesville Estates Wetherburn Farms Homes, the go to team, Keller williams - Sterling, Countryside, Sugarland, Cascades, Lowes Island, Dulles offering Sterling, Countryside, Sugarland, Cascades, Lowes Island, Dulles first time home buyers programs, IRA Real Estate Investments,ulles MLS Searches for your Sterling, Countryside, Sugarland, Cascades, Lowes Island, Dulles home. Call for your Sterling, Countryside, Sugarland, Cascades, Lowes Island, Dulles Real Estate specialists(Herndon, Herndon Junction, Grand Hamptons, Millwood Pond, Falls Brook, Jenkins Ridge, Dranesville Estates Wetherburn Farms, Loudoun, Fairfax & northern virginia). maurice saylor, the go to team of the go to team, Keller williams - Sterling, Countryside, Sugarland, Cascades, Lowes Island, Dulles - Real Estate in Sterling, Countryside, Sugarland, Cascades, Lowes Island, Dulles virginia. maurice saylor, the go to team - Caring, Trusted and Established! 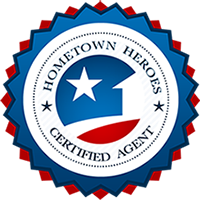 Call for your Sterling, Countryside, Sugarland, Cascades, Lowes Island, Dulles home search. Real Estate specialists for Sterling, Countryside, Sugarland, Cascades, Lowes Island, Dulles virginia - the go to team, Keller williams - Sterling, Countryside, Sugarland, Cascades, Lowes Island, Dulles. - "Where to Search for Real Estate." Buy or Sell your Sterling, Countryside, Sugarland, Cascades, Lowes Island, Dulles Home - Building wealth through smart Real Estate investing. Sterling, Countryside, Sugarland, Cascades, Lowes Island, Dulles residential real estate MLS Searches by maurice saylor, the go to team of the go to team, Keller williams - Sterling, Countryside, Sugarland, Cascades, Lowes Island, Dulles. A Sterling, Countryside, Sugarland, Cascades, Lowes Island, Dulles Real Estate company specializing in Sterling, Countryside, Sugarland, Cascades, Lowes Island, Dulles Home searches (Sterling, Countryside, Sugarland, Cascades, Lowes Island, Dulles MLS Searches), Ashburn, Ashburn Village, Ashburn Farms,Broadlands MLS Searches and Reston, Dranesville, Oak Crest Estates, Shaker Woods, Cedar Chase MLS Searches. Sterling, Countryside, Sugarland, Cascades, Lowes Island, Dulles home repair suggestions (also Herndon, Herndon Junction, Grand Hamptons, Millwood Pond, Falls Brook, Jenkins Ridge, Dranesville Estates Wetherburn Farms, Loudoun, Fairfax and the entire northern virginia real estate and more). Call maurice saylor, the go to team at 703-926-3260 for assistance. Need a Sterling, Countryside, Sugarland, Cascades, Lowes Island, Dulles Contractor suggestion? maurice saylor, the go to team has you covered when it comes to Sterling, Countryside, Sugarland, Cascades, Lowes Island, Dulles Real Estate upgrades. maurice saylor, the go to team can recommend a licensed Sterling, Countryside, Sugarland, Cascades, Lowes Island, Dulles contractor for all your home improvement needs! Sterling, Countryside, Sugarland, Cascades, Lowes Island, Dulles Home MLS Searches, also Herndon, Herndon Junction, Grand Hamptons, Millwood Pond, Falls Brook, Jenkins Ridge, Dranesville Estates Wetherburn Farms, Loudoun, Fairfax and the entire northern virginia. Sterling, Countryside, Sugarland, Cascades, Lowes Island, Dulles Real Estate Expert - maurice saylor, the go to team, offering Sterling, Countryside, Sugarland, Cascades, Lowes Island, Dulles, Herndon, Herndon Junction, Grand Hamptons, Millwood Pond, Falls Brook, Jenkins Ridge, Dranesville Estates Wetherburn Farms and Loudoun, Fairfax MLS Property Searches and all forms of Real Estate services that matter. maurice saylor, the go to team and the entire the go to team, Keller williams team is committed to delivering impeccable service for your Sterling, Countryside, Sugarland, Cascades, Lowes Island, Dulles Home Finding needs. Our goal is to make the home search process as simple and worry-free as possible. From your first conversation, our focus is helping you find the Sterling, Countryside, Sugarland, Cascades, Lowes Island, Dulles Home that meets your needs! We appreciate the opportunity to earn your business. Whether you want to get a new home, or get a comparative market analysis of your current Sterling, Countryside, Sugarland, Cascades, Lowes Island, Dulles Home, our purpose is to satisfy your needs. By putting you first, We assure you a pleasurable transaction.